We are very excited to announce that our book about Moving to Spain with Children is due to be published in November 2014. As well as being available in kindle format, a print edition of Moving to Spain with Children will be published, thanks to UP Publications Ltd. This means that not only will you be able to buy the book online but also in certain bookshops (little shrieks of joy by mum here). We will also be planning a promotional campaign to visit book fairs and other exhibitions over the following months. More details soon. If you search online you will find a multitude of books about Spain; books set in spain; books about: moving to Spain; books about living in Spain and people’s stories about moving to Spain from UK. However, there is very little information available about Spain for children and almost nothing about Moving to Spain with Children. To give you a taste of what to expect, we have included part of out Introductory chapter and also some feedback from individuals who have read the draft copy of Moving to Spain with Children. Spain is a wonderful place to live. It is the place I have chosen to bring up my children. Having lived here for over 23 years now, I cannot envisage living anywhere else (although I will never say never!). Living in Spain allows us, as a family, to appreciate that: we have more time with our children; we spend more time outdoors in the fresh open air; family comes first; material possessions are not important; people are generally very friendly and open; we are living an invaluable experience. Every year, many people consider moving to Spain. Every year people make the move and sometimes it doesn’t work out and they return home (you know, the stories often published in the tabloids and UK sensationalist TV programs) . From experience, I am inclined to say that many failed relocations are due to inadequate research and incorrect advice (Health issues aside!). Warning: If you are looking to be sold the dream, put this book down now and buy one of the many other books on the market. This book is not here to sell you a dream. This book will show you the reality. This book will show you what life in Spain is really like. This book will tell you what you need to think about before deciding to make the move. This book will give you a much better start to your life in Spain. This book will become your invaluable source of thinking material and insight, in preparation for your move and during your first months in Spain. “The Bible for any parent aiming to live in Spain. Up to date, clear and full of vitally important information, Lisa’s book is a ‘must-have’ for any parent considering moving to Spain or here now with their children”. 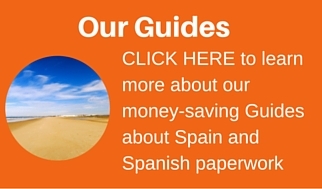 “Essential reading for anyone considering moving to Spain with children, and in fact even without children, it is an excellent starting point. Balanced, factual and practical, the content gives the reader a real idea of where to start and what to expect. I wish it had been available when I moved here 6 years ago, and will undoubtedly save you time, money and stress. The personal stories highlight the pitfalls, and are all classic “welcome to Spain” tales, but give a truly balanced view assisting you in making a fully informed decision”. Kelly Lawlor, Vejer de la Frontera. Caroline Angus baker, New Zealand (Author). So there you have a taste of what is to come. 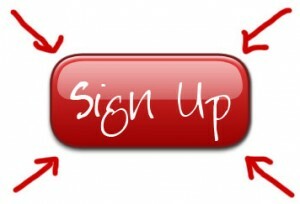 To add your name to the waiting list and be advised as soon as Moving to Spain with Children is available, simply click the button here and add your email details.